Letto Queen Memory Foam, letti a castello completi, divano componibile, incredibile grande ponte con grill e mobili, 2 TV con cavo, X-box, lettore DvD, giochi da giardino all'aperto, giochi da tavolo al coperto, wifi, piscine, vasche idromassaggio . Se non si ha familiarità con la zona, o sono solo in cerca di qualcosa di nuovo da fare ti daremo un sacco di idee. Tutto il necessario per rilassarsi o giocare fino a cadere! Nessun prenotazioni internazionali. Viaggiamo con i bambini così abbiamo fatto il nostro condominio ragazzino gentile ed elegante allo stesso tempo. Ci sono tante cose da vedere e da fare nel sud dello Utah, ma si può amare il condominio e ricorrere così tanto si potrebbe mai lasciare la zona. Perfetto per rilassarsi (facile con l'aiuto di Green Valley spa accanto). Perfetto anche come un hub per gite di un giorno. Fate come più o meno come si vorrebbe, ma farlo comodamente! Chiedete a noi se avete bisogno di idee di posti per mangiare, cose da vedere e luoghi da visitare! At least 1 hot tub was broken down at all times. Other units in building were without water. Unit had lots of room. We would not go back. Firstly, the weather created real problems and we had to leave a day early, so paid for an unused night. No one's fault. The unit was clean, but not kept up to par. It would have been nice to have some kind of soap in the bathroom, which seems basic. The water from the refrigerator unit, which one hopes is filtered, was not working. The front door safety latch was very loose and we did not feel very 'safe'. The TV in the living room would not work. The mattresses on the bed are not very comfortable. It was not a "comfortable sleep". For the price we paid for three nights, we were hoping for something much better. We work Very hard to provide the best possible stay. Thank you for the feedback. We are always making improvements. 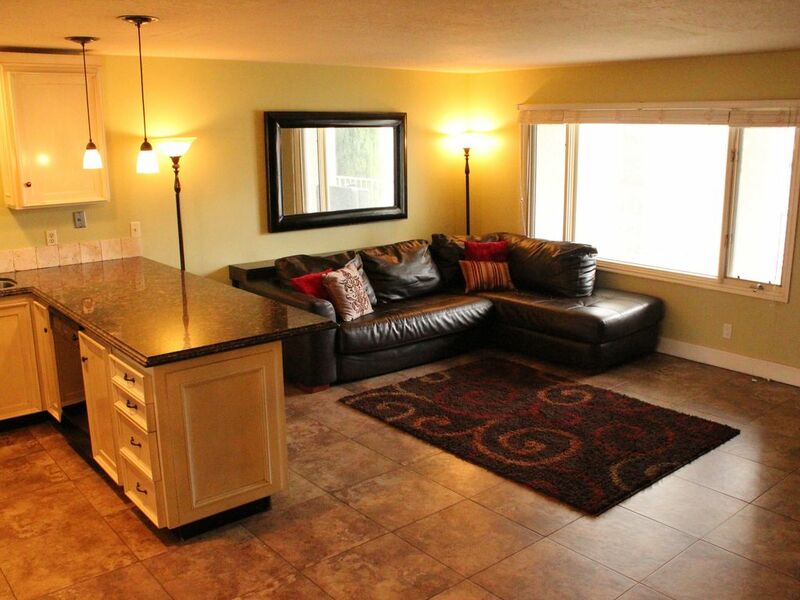 This condo was clean and spacious...very lovely accommodations for our trip to St. George. Condo was clean and as expected; very pleased for the price. FYI, pictures do not show how open the main space is. It was a pleasant surprise. Balcony and view are fun. Owner let us store our bikes in the garage which was very convenient! Full access to the (formerly green valley) clubhouse was also an unexpected bonus. We enjoyed our stay and would recommend this condo to a friend. Park-40 Zion National min, Tuacahn Teatro-10 min, Snow Canyon State Park-15 min, Sand Hollow State Park-20 min, Las Vegas-90 min, innumerevoli corsi-30 Amazing Golf min, Bryce canyoning 2 ore, Brian testa stazione sciistica-90 min, Grand Canyon Toroweap-2 ore di strada sterrata .... è meglio prenotare qualche giorno in più! St. George area has peak seasons and off seasons, my rates follow those trends. Longer minimum stay may be required during holidays/events. My monthly rates do not apply during the Peak season (Spring and Fall). About 30 days before your stay you will send me a check for $200 that I will HOLD as a security deposit, once my cleaner verifies everything is fine after your departure I will mail the check back to you. Additionally, if you would like you may purchase insurance through vrbo.